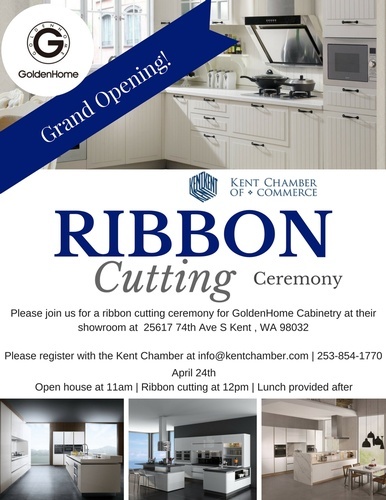 Please join us as we celebrate the grand opening of GoldenHome Cabinetry Northwest. Lunch is provided after the Ribbon Cutting by Mayor Dana Ralph at noon. The event will be held at the GoldenHome Showroom at 25617 74th Ave S Kent, WA 98032.